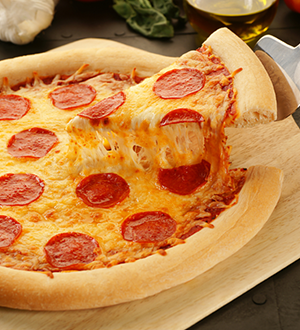 Pizza Hut proudly delivers freshly baked pizzas to our facility. Pizzas are cut into 16, pie slices. Available Pizza Toppings: Cheese, Pepperoni, Bacon, Ham, Pork, Steak, Anchovies, Italian Sausage, Meatballs, Salami, Green Peppers, Mushrooms, Red Onions, Green Olives, Tomatoes, Jalapeños, Onions, Spinach, Olives, Banana Peppers, Pineapple, Feta, Shaved Parmesan, Cheddar. 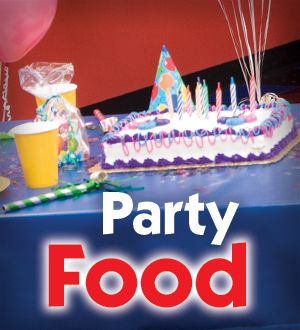 Adult food bundles are a great way to feed the parents at your event. Pizzas in the Adult Food Bundle all include one topping. 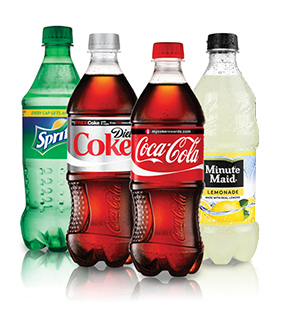 We proudly serve Coca Cola Products: Coke, Diet Coke, Sprite and Lemonade.